Yum-V's Multi-V contains essential vitamins and minerals including 1000 IU of Vitamin D. Yum-V's Multi-V has a great milk chocolate taste that kids love. Multi-V + Multi-Mineral formula supports healthy eyes, immune system and strong bones and teeth. Milk Chocolate flavor. Contains 60 chewables. Directions: Recommended daily dosage: Take one or two bears with food. Other ingredients: Cane sugar, palm oil, cocoa, skim milk powder, sunflower lecithin, natural flavor. Warnings: Contains dairy derivatives. Individuals that have known dairy allergies should not take this product. If on medication, pregnant or breastfeeding, please consult a doctor before use. Not for children under 2 years of age due to risk of choking. Yum-V's Multi Vitamin Chocolate is rated 4.8 out of 5 by 9. Rated 4 out of 5 by LisaM from Great alternative to gummies My son has sensory issues with foods. He eats little fruit or vegetables so finding him a daily vitamin was important. Gummies were not an option as he didn't like the texture and doesn't like the flavor of the "crunchy" ones. He actually looks forward to these every day and asks for them. Great little peace of mind for Mom! Only 4 stars as they are pretty costly, especially if you have more than one child using them. Rated 4 out of 5 by Larissa from Vitamins and chocolate.... While I question the quality of a children's chocolate vitamin, I do know that if you have a picky child they are sure to eat these. All 4 of my children love these and can't wait for a new day so they can take their vitamins. All that said I wouldn't by these again unless they were REALLY REALLY cheap. Rated 5 out of 5 by Valeria from I love recording them! I have issues swallowing pills so these vitamins work great for me plus I love the taste! Rated 5 out of 5 by Bretten from Excellent product My son loves the chocolate taste. Excellent product, made in Israel. Rated 5 out of 5 by rummdogg from excellent vitamins! My son would not eat ANY type of vitamin. ..period. I went online and found this website and thses vitamins and thiught....why not. Well he loves them...looks for them every morning. I just wish it didn't cost so much ....i live in Canada and the exchange rate and international shipping make it expensive. ...but because my son will finally take vitamins...i guess I'll keep ordering. Rated 5 out of 5 by Monkey3026 from My kids love them! After years of giving my kids your Children's Chewable Animal Chews, I was forced to look for another multivitamin since you stopped making the other ones. My one daughter is extremely picky and none of the gummie chewable a you sell which are covered in sugar, appealed to her. Thankfully we tried these and they were a hit!! 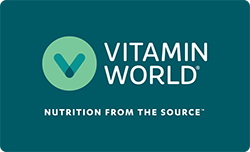 I shop at the Outlets in Tinton Falls NJ for the vitamins & the sales associate there went above and beyond for my kids on the day I went to look for new multivitamins. I wish you didn't discontinue the other chewables but, my kids are happy with these and so am I! Rated 5 out of 5 by Anonymous from only vitamins my grandson will take worth a try if your child is not eating vegetables and is a picky eater.